In the US, foundation grants are provided by non-profit organizations called foundations. These grants are given by both private and community foundations. Private foundations receive their funds from individuals or companies, while community foundations earn their money from donations from the public. In the United States, foundations are required by law to disburse at least 5% of their resources annually. Every year, thousands of people apply for foundation grants, although not everyone will receive one. Grants exist for almost every type of activity and interest from ballet and nursing to education and training service animals. 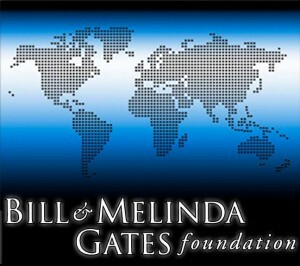 The largest foundation is the Bill and Melinda Gates Foundation with assets of around $36.4 billion. The foundation focuses on health, development and education. Its main goals are the reduction of malaria and AIDS globally. The second largest American foundation is the Ford Foundation. It was founded by American automobile magnate Henry Ford and his brother Edsel. As of 2012, the foundation had around $11 billion in total assets. It paid out grants worth around $485 million in 2012 alone. Established by the scion of the Johnson and Johnson company, the Robert Wood Johnson Foundation focuses on health services and health statistics. In 2012, the foundation awarded $359 million in grants from Massachusetts to Washington. This foundation awards grants to a wide range of causes, including education and the arts. It holds assets worth $7.6 billion and awarded $304 million grants in 2012. The foundation awards grants to many different types of organizations. The inventor of corn flakes, W.K. Kellog, set up the foundation in 1930. In 2012, the foundation awarded $380 in grants worldwide. Its assets are estimated to be around $7.2 billion. This foundation was endowed in 1937 with stocks from Eli Lilly and Company. The foundation focuses on education and religion. It has assets of around $6.6 billion.